Disconnect the battery negative cable. Refer to Battery Negative Cable Disconnection and Connection. If equipped with a front suspension skid plate, remove the drivetrain and suspension frame skid plate. Refer to Drivetrain and Front Suspension Frame Skid Plate Replacement. Remove the battery positive cable fastener (2) and the battery positive cable terminal (1), from the starter solenoid. 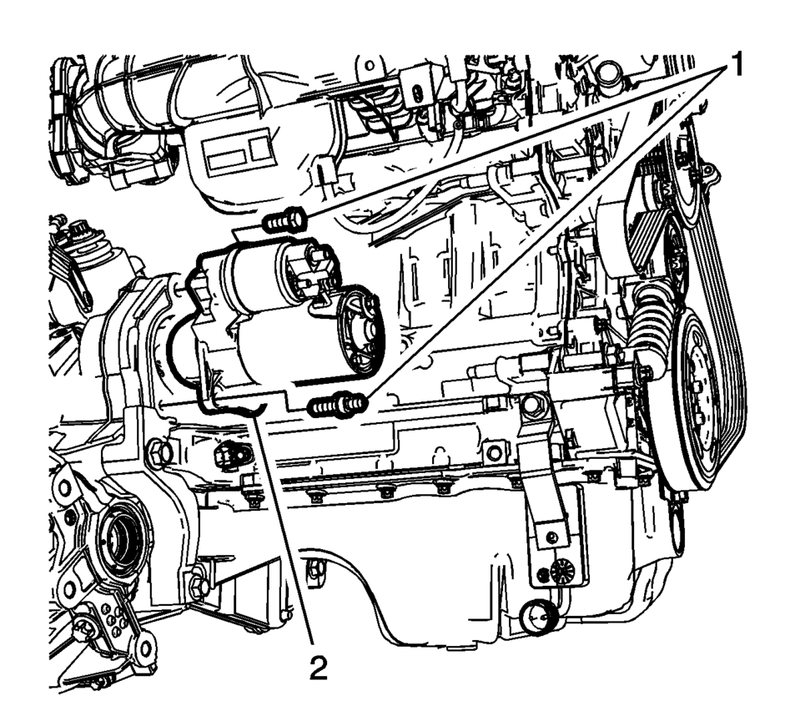 Remove the starter battery positive fastener (3) and the positive terminal (4), from the starter solenoid. Remove the battery negative cable fastener (5) and the battery negative ground terminal (6), from the starter mounting stud. Remove the starter mounting fasteners (1) and remove the starter from the vehicle. Install the ground cable (6). 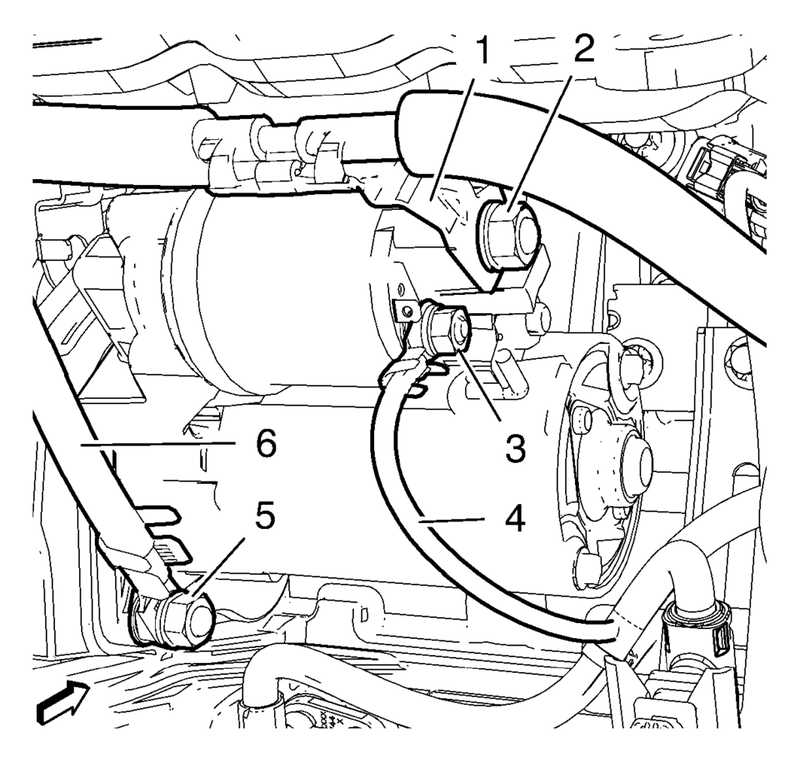 Install the starter positive cable (4) to starter. Install the battery positive cable terminal (1). Install the drivetrain and suspension skid plate, if equipped. Refer to Drivetrain and Front Suspension Frame Skid Plate Replacement. Connect the battery negative cable. Refer to Battery Negative Cable Disconnection and Connection.